I missed this news flash while on the road last week, but Bill Davidson, the current VP of Core Customer Marketing and great-grandson of the motor company founder was “promoted” to the flagship position of Museum Director. Huh? 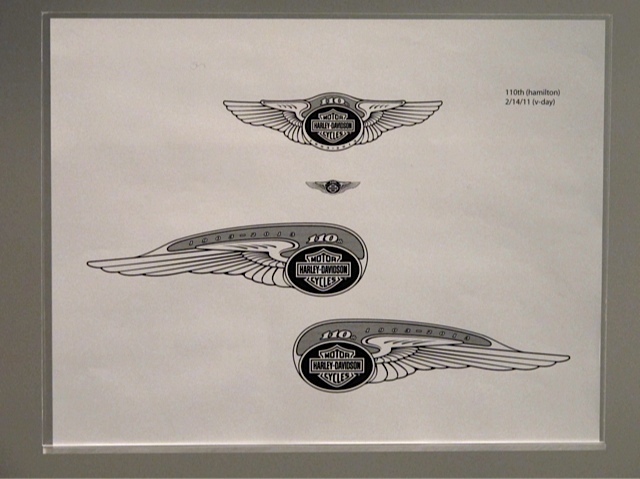 Twenty-six years at the company to become the head honcho of factory tours and the Harley-Davidson museum? Personally I’d find it to be a cool gig, but can you imagine the conversation at the next family BBQ gathering with Willie G. and Jean Davidson?! What’s next from the fancy-pants bean counters and marketers? Put Willie G. in charge of re-styling the employee café? 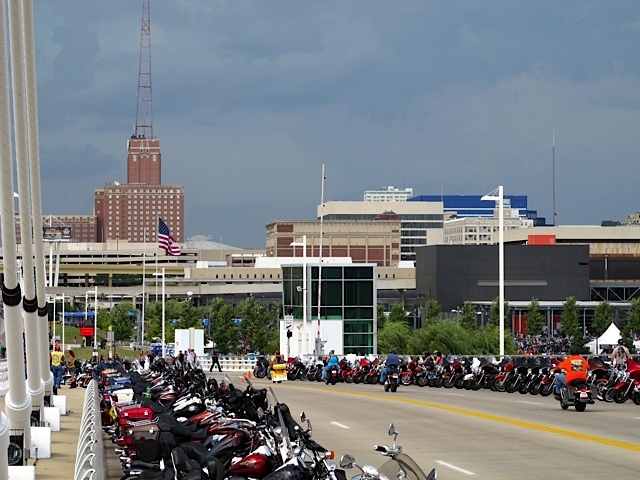 Did the H-D museum not reach its full potential or is this a continuation of the “hack-n-slash” which CEO, Keith Wandell seems fond of as he moves the “old guard” out? Maybe it was Mark-Hans Richer (Sr. VP and CMO) deciding a guy like Bill running the company’s core marketing just wasn’t throttled up enough? Change is good, right? 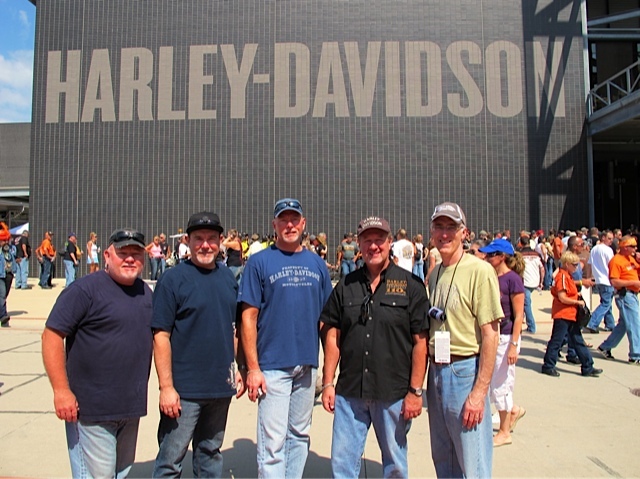 Bill retains his executive management status as VP of the H-D Museum and Factory Tours. More important is Bill’s replacement who starting in June, will be Stacey Watson. Ms. Watson will lead marketing for ALL of H-D customer segments across N.A. No easy task. Ms. Watson will hold the title of Sr. Director of Consumer Segment Marketing. Assuming positive results this is surely a segway to the board approving a VP title later in the year. I’m not taking anything away from Ms. Watson experience or accomplishments as she was instrumental in the design, development, construction and launch of H-D museum. Having visited this marquee facility I’m hopeful that Ms. Watson can do for marketing what she accomplished at the museum. 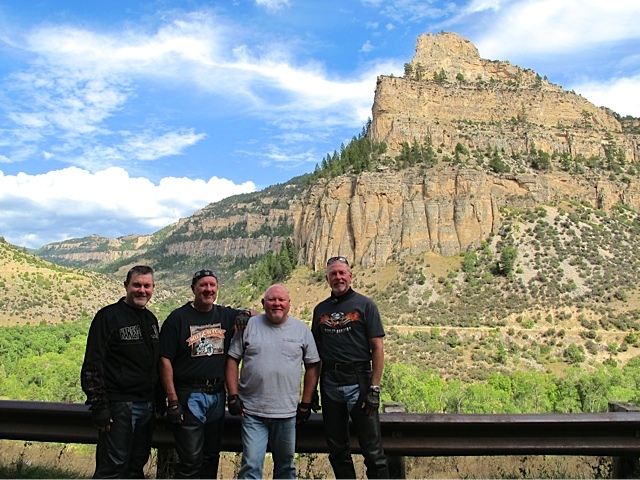 Let’s hope that Bill will continue to infuse the energy and passion of building out motorcycle exhibits, create educational programs and reaffirm the role of the museum with Harley riders around the world. One suggestion is to replicate on a smaller scale a west coast museum in Las Vegas. There are a lot of people visiting ‘sin city’ with disposable income and given all the motorcycle styling influences which came from nearby California it would be a unique showcase for them. Photo’s taken at H-D Museum. If you type Harley-Davidson motorcycle accidents into Google you’ll get about 180,000 hits. Thousands of the hits are motorcycle accident lawyers “hawking services”, attorney blogs evangelizing the merits of taking irresponsible drivers to court or injury sites masquerading as “free advice” backed by an attorney who wants another client for that once-in-a-lifetime “lottery” product liability case. Gives the legal industry a bad rap. 09/02/08 – Motorcycle Crash 500 block of N. 8th Street in Lakeside, Coos County. 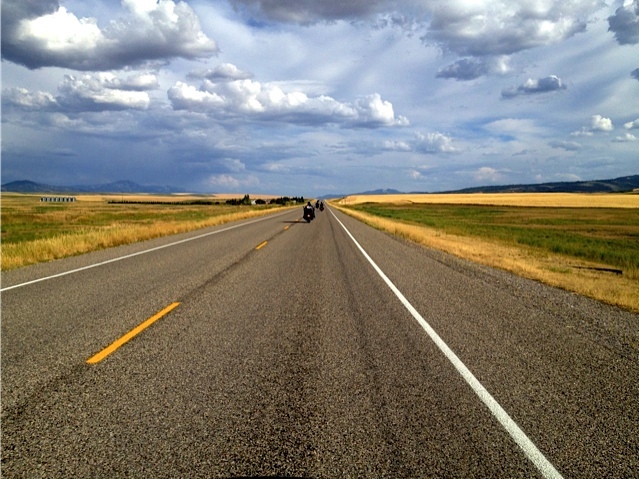 I’ve previously blogged on Oregon accidents HERE (April-June), reported on Senior Drivers HERE and reported on alcohol related motorcycle accidents HERE. I personally reject and am against government intrusion on a regular basis, but I would support the idea of mandatory first time endorsement training like taking the Team Oregon safety course. Poster art work photo taken at and courtesy of HD Museum. 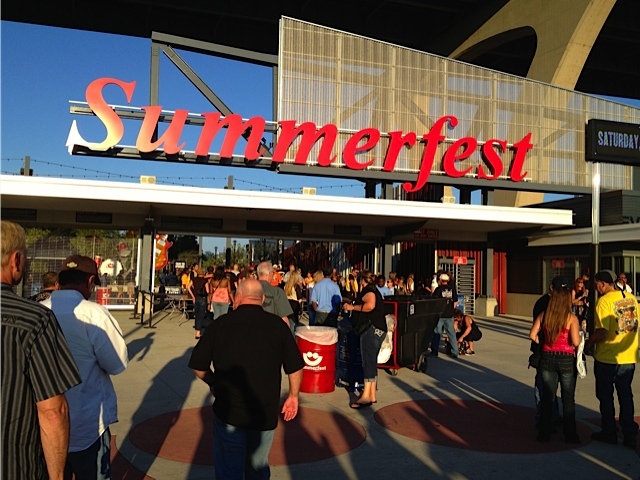 The main set of 105th Celebration events are over – now what? First off a shout-out to Harley. 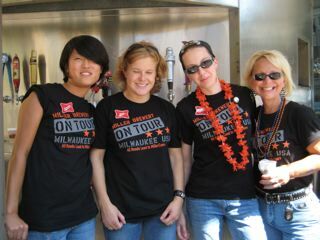 They know how to throw a party and no one serves as a better host than the people of Milwaukee. 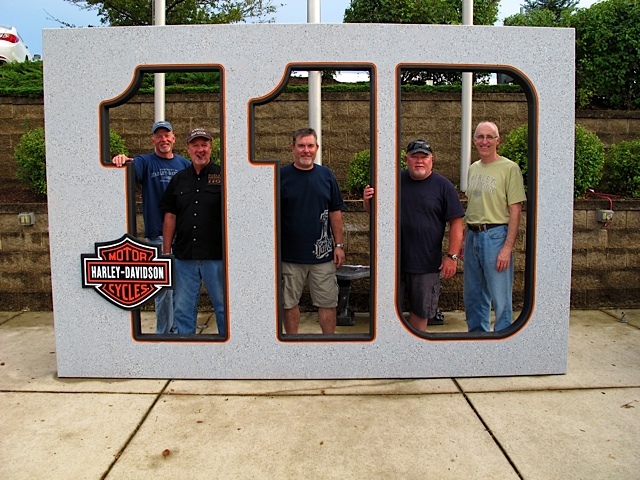 To put on an event of the 105th size, takes commitment, organization, time, resources and of course, a great product so thank you Harley-Davidson! 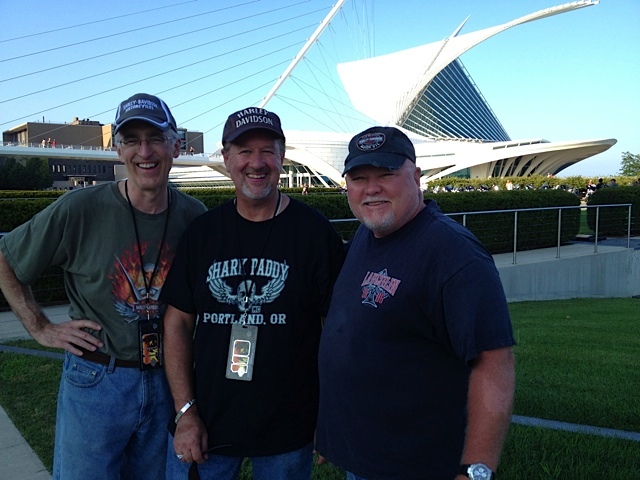 It’s Sunday, August 31st, our final day in Milwaukee and it left us thinking about what we neglected to do. It seemed the only items we opted out of besides the parade was a cheese tour (I had cheese on the way out..) and donating to the Wisconsin Red Cross Blood Drive! It’s unlikely they would want our blood. 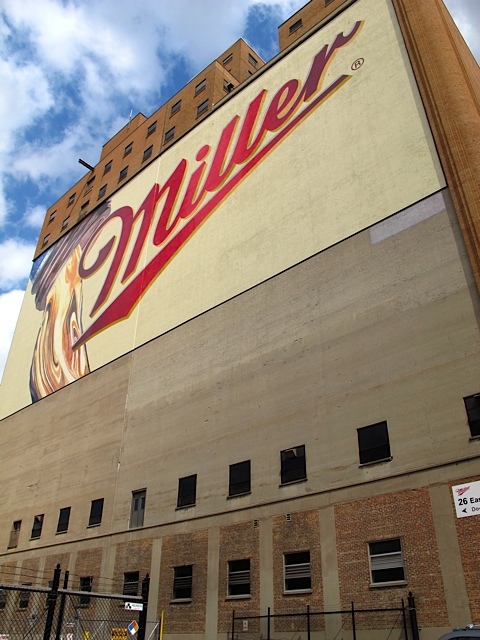 Instead we set the day in motion by heading over to the Miller Brewery. We heard about free samples and knew it was going to hit the mid-80’s again. 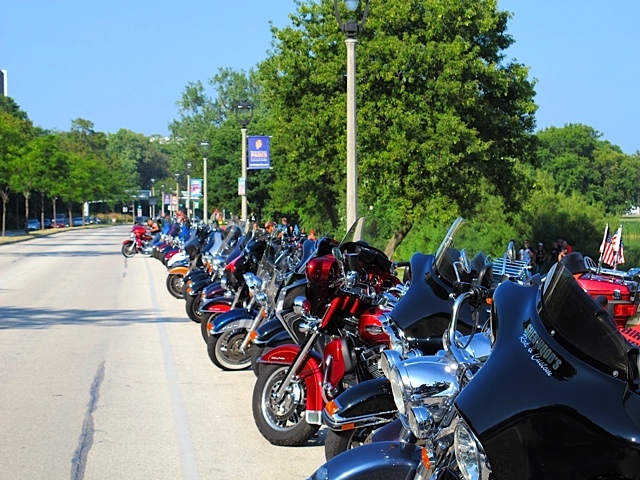 To say the Milwaukee weather cooperated for the 105th Anniversary celebration is an understatement. It was down right awesome. A bit warm and humid for those of us from the Northwest, but better than we could have hoped for. We brought our love of beer and stopped at the Brewery tour! We watched the 10 minute video and walked up and down the 4 blocks of the tour. By the time we hit the Brew Kettle’s I think the gal was just hoping we’d go directly to the R&R area. It’s an interesting time in the brewery biz. Anheuser-Busch recently merged with Belgian-Brazilian brewing company InBev for $46B…yes that’s BILLION. 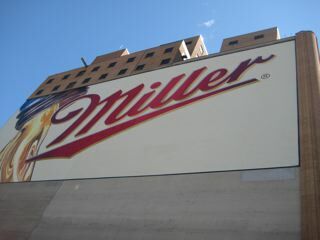 And back in 2002 South Africa Breweries bought Miller Brewing Company and called it SABMiller. Then in 2005 Coors merges with Molson and then this year SABMiller and Molson Coors entered into a joint venture to form MillerCoors. 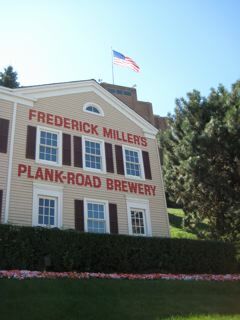 A long way from the days of when Frederick J. Miller brought his passion for beer to the U.S. and settled in Milwaukee in 1855 where he bought the Plank Road Brewery. Like all the people we met in Milwaukee it was no exception to find interesting and nice folks at the brewery too. 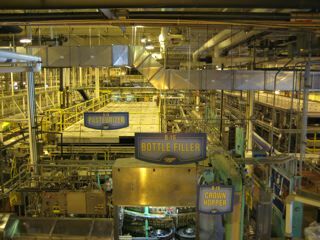 We sat for a good while and enjoyed our refreshments then said good-bye to the Miller High Life! 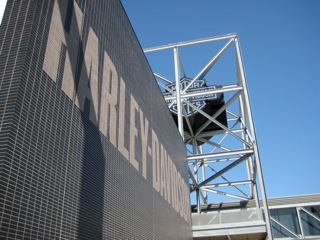 On a whim we decided to try a Harley-Davidson Museum drive by. None of us received tickets to the museum as part of the lottery system, but we thought at least we could hang out on the grounds or if lucky score an open back door. The museum is located near downtown and is set on 20 acres of land which is surrounded on three sides of the Menomonee River. It looks like a part of town that is getting ready for urban expansion and HD will be one of the major tenants of the renovation. We parked the bikes and did a little fact-finding only to be rewarded with tickets to enter the museum. Scored! 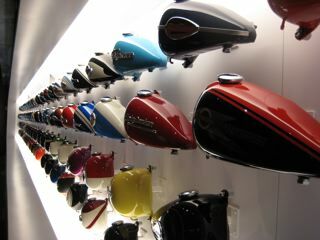 The museum truly should be on any Harley-Davidson motorcycle owners list of things to see and absorb. The museum’s steel and glass exterior has an urban elegance and almost seems out of place in this area of town. 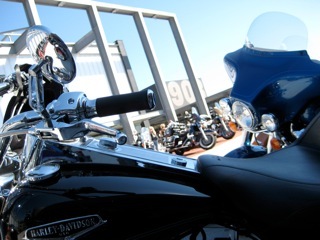 The exhibits are unique and the stories of those who lived the HD life are remarkable. From the recreation of the 1920’s board track, to serial number one of the first HD built in 1903 to the “King of Rock”, Elvis Presley’s 1956 KH motorcycle to the extensive and rare collection of vintage advertising and riding gear to the replica of Easy Rider. Something for everyone. The “tank wall” is a photographers dream come true! 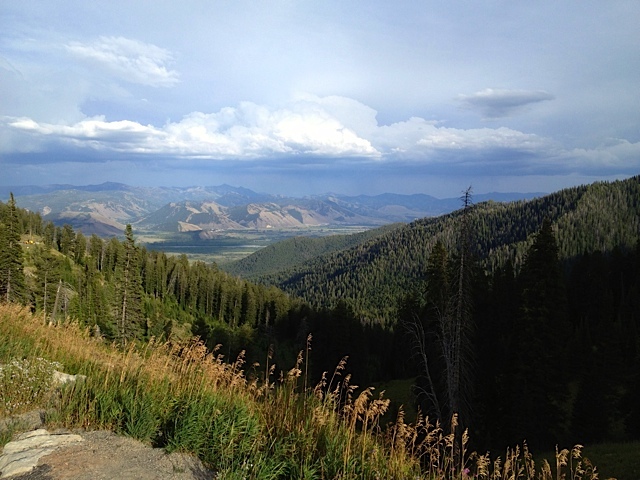 All of this only a couple blocks away from the luxury boutique hotel aptly named the Iron Horse Hotel. 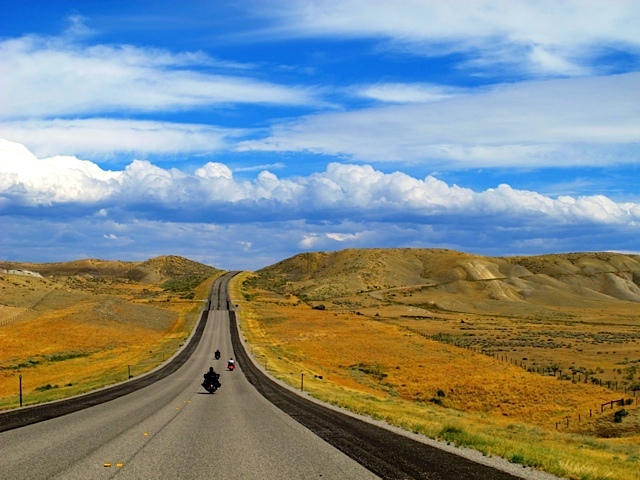 In my mind there are two kinds of people in this world: Those who ride Harley-Davidsons and those who wish they did. That’s not a slam on other motorcycles just a viewpoint after meeting and talking to numerous people on our two-wheelin’ journey “home”. Jumped on a plane Monday morning, I take a moment to reflect. The Ride Home and 2576 enjoyable miles later along with an awesome multi-day music celebration comes to a close…110th anyone?! 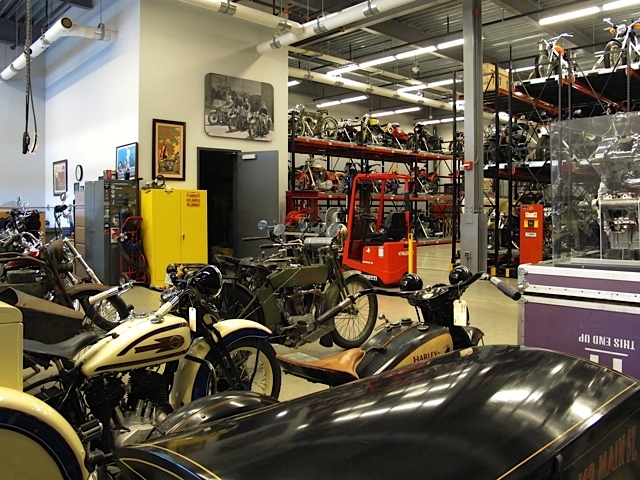 I read an article about the Harley-Davidson Museum which was accompanied by a photo of the “Captain America” bike in the movie Easy Rider (1969). However, this post isn’t about how everyone should go down to your local video store and rent Easy Rider to be a rebel. It’s about how some family’s are severely touched by demons and despair in large quantities that’s unequal to the general population. For example, earlier this year the Easy Rider producer and lawyer, William Hayward died of a self-inflicted gunshot wound. He was 66-years old and the suicide occurred in a trailer where he was living in Castaic, CA, an unincorporated area near Los Angeles. William “Bill” Hayward was the youngest of three kids and born in 1942. His growing up years were chaotic. There were several moves between California and Connecticut with the last to Greenwich, Connecticut, in 1948 after his mother, Margaret Sullavan was divorced from Leland Hayward. Sullavan wanted her children to have “normal” childhoods, and isolated them from the “evils of Hollywood”. The children lived in a separate house with a nurse (nanny) and a cook. A tutor taught Hayward and his siblings at home for the first few years of their life. When they were older, his sisters, Brooke and Bridget attended Greenwich Academy a private girls school, where Jane Fonda was a classmate. Bill Hayward and Peter Fonda attended Brunswick, a boy’s school around the corner from Greenwich Academy. Interestingly is the fact that Sullavan was married to Henry Fonda for less than a year in 1931. In the fall of 1953, the Hayward children (Brooke, Bridget and Bill) all left home to attend boarding schools. Brooke attended Madeira, a private girls school in McLean, Virginia; Bridget went to Gstaad, Switzerland and Bill to Lawrenceville in New Jersey. Brooke attended Madeira her junior and senior years, graduating in 1955 going on to Vassar and Yale. Bill’s mother, Margaret Sullavan died of an accidental drug overdose January 1, 1960. At the time, both Bridget and Bill were patients in a mental asylum, Austen Riggs in Stockbridge, Massachusetts and Menninger’s in Topeka, Kansas, respectively. In October 1960, Bridget Hayward died of a drug overdose just 8 months after her mother. Leland Hayward died in 1971 at home, after an extensive hospital stay following an unsuccessful surgery. At one point and according to Brooke Hayward’s bio, she was married to husband number two, Dennis Hopper, 1961-1969; they had one child, a daughter, Marin. And as you likely know Hopper worked closely with Peter Fonda (a long-time Sullavan/Hayward family friend) and Bill Hayward on the movie Easy Rider. 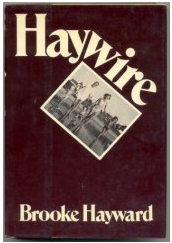 Bill Hayward also produced “Haywire” (1980) for CBS, an account of his mothers suicide based on a memoir by his sister Brooke. In Haywire, Brooke wrote of a conversation she had with Bill in which he said if he ever committed suicide, he would do so by shooting himself in the heart….which is exactly what he did. This was a family whose talent was unfortunately outshined by its demons. 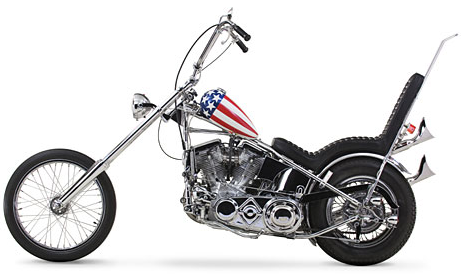 Replica “Captain America” bike photo by Randy Leffingwell and courtesy of the 1969 Easy Rider film. 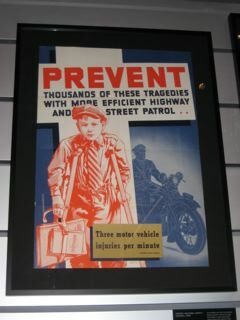 Photo taken at the Harley-Davidson Museum. 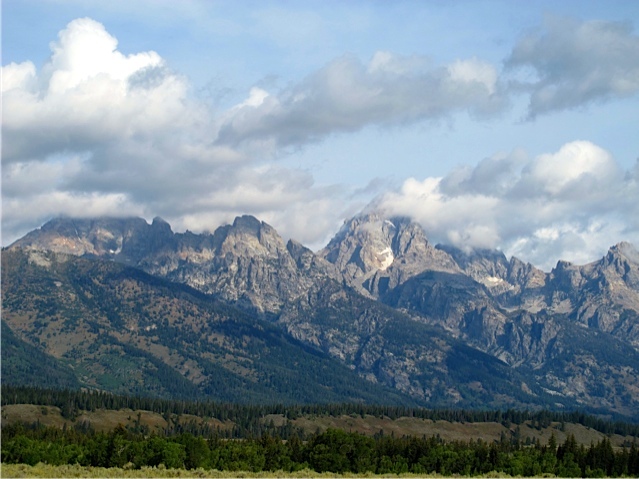 (the two originals were destroyed during filming, according to museum literature).